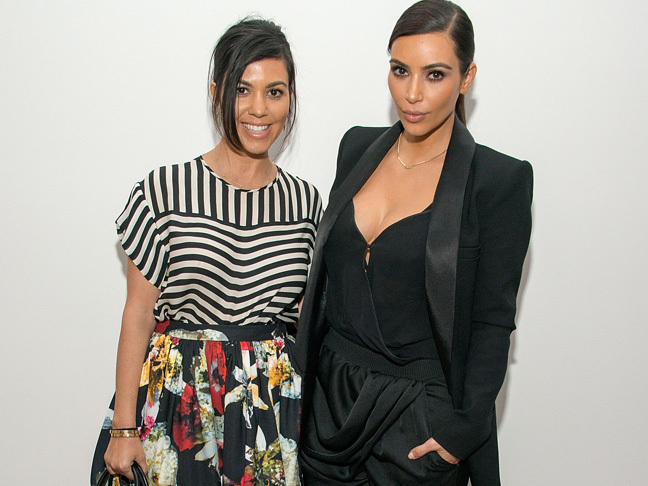 Yesterday, Kim Kardashian, 33, told Mail Online that she and sister, Kourtney, 35, are total opposites when it comes to their parenting styles. "I'm really fun and playful but I'm more strict on naptimes and sleeping in her own crib, where Kourtney does more of an attachment parenting style where her kids sleep in her bed with her," she says. The good news is they both admit that they learn from each other, respect each other's parenting choices, and hardly judge each other. Awesome! Because nothing burns me more than when one or both of my brothers get on me about how I parent Jack. And they don't even have freakin' kids! But, I guess, in their defense, since Jack's dad isn't in the pic, they feel like they co-parent with me. I mean, I don't feel this way, because we live alone and spending time with family doesn't translate to the nitty-gritty of parenting. Sorry, boys! The brush your teeth! Put on your shoes! Finish eating! Turn the TV off! NO! NO! STOOOOOP! Time for homework. And reading. And that project. Get in the shower! Time-out and every, other xyz. Their two biggest complaints about my parenting is that every now and again, Jack sleeps in my bed and sometimes we have "lazy" dinners. But, I will say, I have learned a thing or two from my brothers and how they interact with Jack. The boys taught me how to be firm with my son, but also how to cast a fishing line off the dock. And the night Jack had a sleepover at Uncle Brian's and stayed up till 11 p.m. eating popcorn and gummy bears, my bro learned that my strict bedtime routine ding-ding-ding pays off. Jack woke up at 6 a.m., cranky and hungry and not willing to go back to bed. Don't ever let anyone tell you how to parent, but to that same tune—look around and observe, you might learn something new that will help your family thriven and survive!